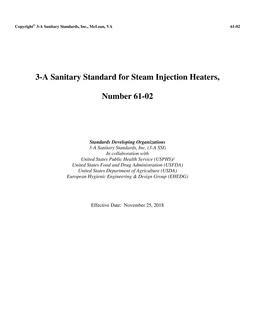 These Standards cover the sanitary aspects of centrifugal separators or clarifiers used to separate fractions of milk or milk products or other liquid food products or to centrifugally remove dense phase material from products. This machine starts at the product inlet(s) and terminates at the product outlet(s) and the nonproduct discharge(s), if included. 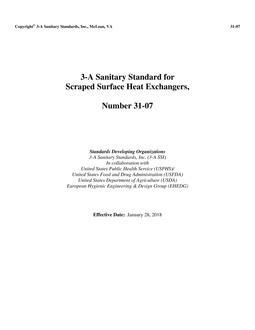 In order to conform to these 3-A Sanitary Standards, centrifugal separators or clarifiers shall comply with the following design, material, and fabrication criteria and the applicable documents referenced herein.